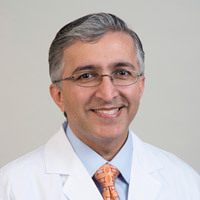 Dr. Vikas Chopra is an expert in the field of glaucoma surgical techniques, including the newer Minimally Invasive Glaucoma Surgery (MIGS) procedures, and in the use of high-resolution ocular imaging to allow earlier and more precise evaluation of glaucoma. He is a leader in the surgical training of new ophthalmologists and his research interests include using new laser and surgical therapies for glaucoma and improving outcomes of complex, combined cataract/glaucoma procedures. Dr. Chopra is part of a select group of ophthalmologists that develops the American Board of Ophthalmology certification examinations.